Gotland Sheep are fine-boned and medium-sized. They have ahornless black head, free from wool, sometimes with white markings. Bold eyes, alert medium sided ears. Small, neat muzzle with even jaw. Slender neck and shoulders set smoothly into a level back with generous length, good depth and reasonable breadth of body. Slender black legs well-spaced and upright. Short hair-tipped tail. 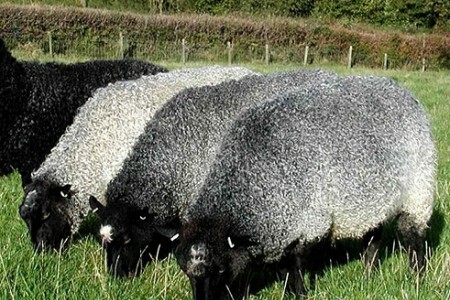 Dense long lustrous grey fleece, occasionally black, white or brown. Clearly defined even curl and staple, soft to handle. Calm friendly disposition. Average mature ewe weighs 55-70kg, rams 75-85kg. The original Gotland sheep club dedicated to the development of the Swedish Gotland Sheep breed in North America.